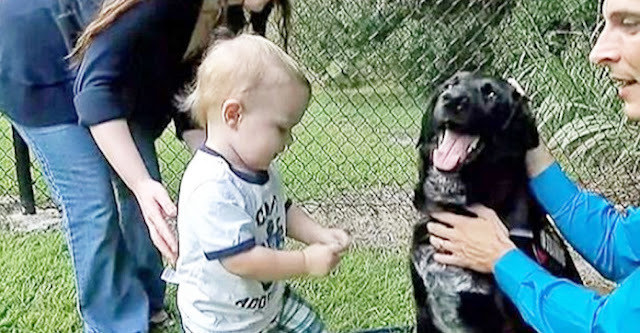 Home › News › Stories › videos › This Baby Couldn’t Tell His Parents About His Abusive Sitter… But His Dog Could. I LOVE Dogs! This Baby Couldn’t Tell His Parents About His Abusive Sitter… But His Dog Could. I LOVE Dogs! Dogs are such adorable beings and we usually never realize that apart from being adorable, they’re also our personal protectors, our heroes. Take an example of this dog, who did something so incredible that when the world found out, no one could believe it! This is a story of a dog called Killian and how he saved his baby brother Finn from an abusive babysitter. Finn’s parents Benjamin and Hope Jordan hired a babysitter to look after their son, but whenever the babysitter would come home, Killian would start growling and being protective of his little baby brother. This is when the Jordans suspected that there was something wrong…something they didn’t know. They decided to leave an iPhone under the couch to record what happens at home and you won’t believe this. Killian is a hero for saving Finn from his abusive babysitter! This is a lesson to all of us that when we hire someone, do a background check, verify before you let a stranger into your home and allow them to “care” for your precious babies.